Teaching and learning is woven into every part of surgical missions. It begins first thing each day with morning rounds. Cardiologists, surgeons, intensivists (critical care doctors, trained to treat the most critical patients), intensive care nurses—international and local—collaborate on diagnoses and treatment strategies for each patient. Throughout the day, local staff are trained by our team in the whole range of patient care, from the first moment a child is admitted to hospital until the moment they are released. They have the chance to put learning into practice immediately. And we are able to guide their learning, giving as much practice as needed until skills are mastered. Teaching is a key program element for Novick Cardiac Alliance. And NCA is uniquely positioned to do this well. Our full-time staff and volunteers have studied and practiced in the United States, Europe, Australia, the Middle East, and around the world. Each is continuously studying to keep up with latest studies and developments in their fields. Each is experienced in the best practices from their own countries. Our staff and volunteers have worked in the most cutting-edge, modern hospital settings. They have also worked in developing countries with rudimentary equipment. They have worked in peaceful settings, and have worked during outbreaks of war, as IV poles swayed beside operating room tables because of bomb blasts. Countless hours of working in the best conditions, the most basic, and the whole range between have given our team the skills to work anywhere. Over the years working together—across diagnostic machines, operating tables and recovery beds—we continue to learn from each other. Our staff and volunteers—from different countries, with different experience and backgrounds—share best practices with each other. Because of this, we are able to practice and teach international best practices to local doctors and nurses. In creating Novick Cardiac Alliance, Dr. Novick recruited an international group of professionals who are clinical experts in pediatric cardiac care—yes. He recruited a group who share a passion to help end the suffering caused by congenital heart disease in the developing world—true. He also recruited a group of professionals who are curious, keen to study, and are always learning. And it is exactly this unique synergy, created by international professionals eager to learn, and open to learning the best from each other, that is making such an impact in places like Libya. When others see Libya, they see civil war, ISIS, and the political and financial instability that has crushed Libya’s health system. We see that too. 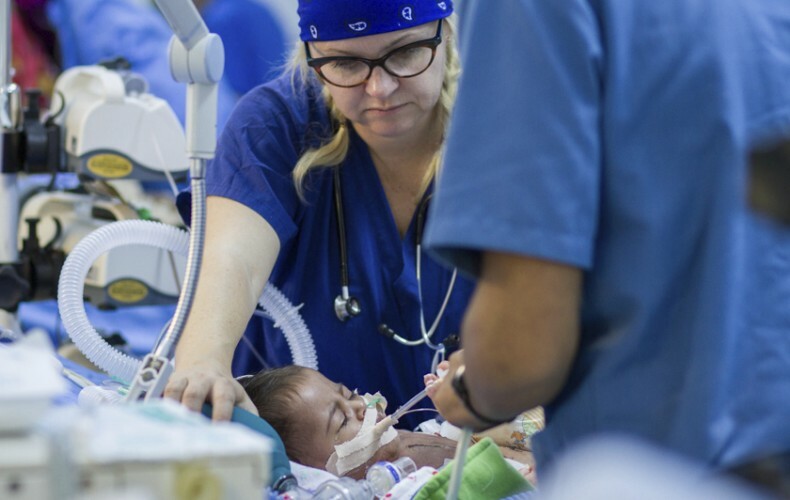 But we also see talented cardiologists, surgeons and nurses eager to learn more—eager to be skilled enough to look after their people without outside help. We are investing in that day—join us!